Hawaii Electric Cars - As Gas Drops, Will Electric Keep Up? Hawaii Electric Cars – As Gas Drops, Will Electric Keep Up? Electric cars have become more and more popular in recent years, as consumers want to do their part to improve the environment and save on gas costs. At CarMark Hawaii, we buy used cars for cash, and because of the industry we’re in, we keep up with fuel costs. Just two years ago, gas prices were astronomical at $3.50 per gallon and more across the U.S. Today, gas is around $2 to $2.50 on average, a huge decrease in price. How will this affect the sale of Hawaii electric cars? According to a recent article at the Seattle Times, consumers have a big decision to make – and most who drive electric cars lease them, rather than buying them. Many motorists who drive electric cars “fess up” to the fact they miss the convenience of being able to fuel up in just minutes, even though Hawaii has adopted electric fueling stations at almost every shopping center. According to Christine Rogala, spokeswoman for the Electric Drive Transportation Association, almost every major automaker now has an electric vehicle on the market, or one in the works. 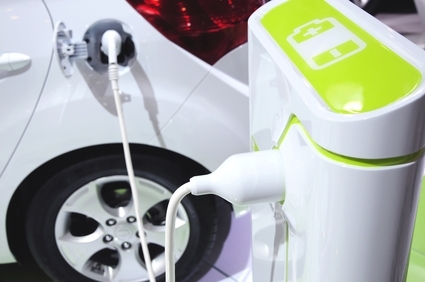 In 2014, more than 118,000 electric cars were purchased by consumers. While this may seem substantial, it still represents only a minute portion of the more than 16 million vehicles sold last year. Stifel auto analyst Jamie Albertine said that although consumers are more open to newer technologies today, lower fuel prices will make it a little more challenging as electronic vehicles attempt to claim more of the market. While the popularity of electric cars may dwindle, one thing is for certain: lower gas prices may mean money savings, but using no gas at all saves even more. If you’re looking to sell a used car for cash, come by CarMark Hawaii today. We make the process simple and stress-free, so you can get the cash you need immediately!